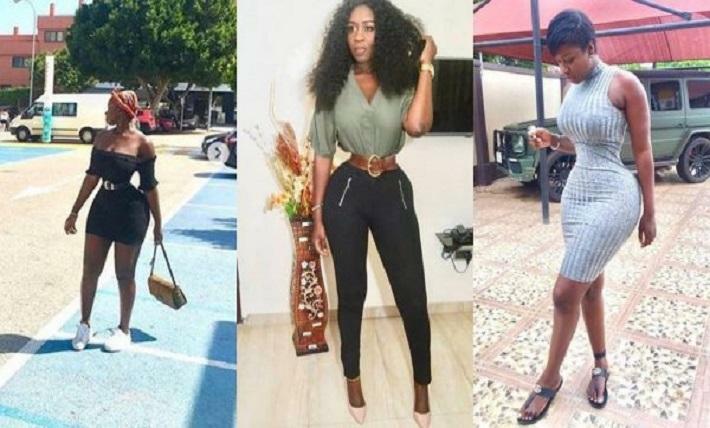 A Gambian actress, Princess Shyngle, based in Ghana, was criticized by her fans recently because of her tiny waist with big curved overload on her backyard, according to her picture she posted on her page. The actress, who not only has a tiny size waist, but a seemingly perfect curved shape, loves displaying her body on social media for her many fans. However, on this occasion, her followers appeared in shock of the last photo she published. This is due to its extremely tiny and “sickly” appearance. Her fans feel she is going too far trying to force herself to become extremely thin. And some even claimed that most of her photos were full of deception and photoshopped and she is always deceiving on her followers. “What is it?” You distorted yourself in the name of the reason you know best. Someone even wondered if she had a stomach: “Where do foods go when you eat because I’m confused with the kind of size”. Princess Shyngle, considered one of Ghana’s most controversial and virulent actresses, cast a shadow over her former colleagues who attended John Dumelo’s wedding. She then wrote that all actresses older than 30 years and not yet married should hide face. This statement has resulted in a number of knocks on her back and she even later said that some people had sent her death threats. comment:a lady with that tiny and curves can’t get pregnant even if she get pregnant can’t give birth properly.